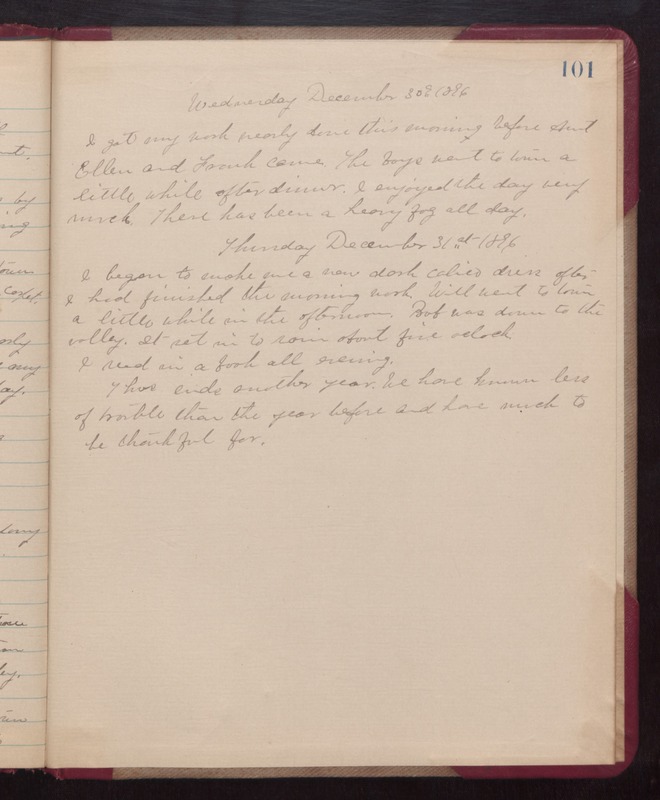 Wednesday December 30th 1896 I got my work nearly done this morning before Aunt Ellen and Frank came. The boys went to town a little while after dinner. I enjoyed the day very much. There has been a heavy fog all day. Thursday December 31st 1896 I began to make me new dark calico dress after I had finished the morning work. Will went to town a little while in the afternoon. Rob was down to the valley. It set in to rain about five oclock. I read in a book all evening. Thus ends another year. We have known less of trouble than the year before and have much to be thankful for.